In an effort to prevent the summer slide, we know it’s important to make sure your students and kids stay active and involved in learning. In order to help prepare them for the months off, we’ve compiled list of TpT’s Pinterest boards we think you’ll find handy. We add resources to them weekly, so following them is a great way to stay up-to-date on new resources from the community. Head on over and give them a follow — whether you use them for your own children or introduce the ideas and resources to your students’ parents, we hope you find them useful! 1. 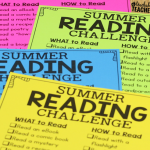 Summer Resources: We’ve compiled some awesome resources to help keep your students engaged through the dog days of summer. Find activities for every subject and grade level; from Spanish Task Cards to a Shark Research Project! 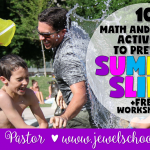 Discover great activities for your student’s to bring home, as well as fun end-of-the year-resources. 2. Wise Owls: We love owls, you love owls, so we decided to make a Pinterest board all about owls! You’ll find fun resources, cute decor for your home and classroom, owl themed snacks, and adorable images. This board’s a real hoot. 3. Patriotic Resources: Patriotic holidays are a great opportunity to teach students about your countries past, present, and future. Find activities to celebrate Victoria Day, Canada Day, Bastille Day, 4th of July, Memorial Day, Labor Day, and more holidays from around the world that fall in the summer months! 4. 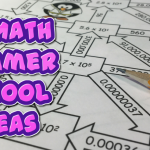 Free Summer Resources: We’d have to admit that we think our Free Summer board is one of the best on our page. It’s chock-filled with amazing printables, journals, activities, ideas, and clip art — all of which are completely free. 5. Get Organized: We’re bubbling over with excitement about our collaboration with Erin Condren and hope you’ll follow along as we share images of organized classrooms and beautiful teacher planners. Use hashtag #Plan2Organize and you may see your photo featured here! 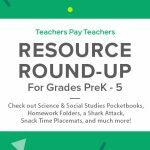 Resource Round-Up: Science & Social Studies Pocketbooks, Homework Folders, a Shark Attack, Snack Time Placemats, and More!